Although the Central Coast grows a large portion of our nation’s produce, food can be scarce for the people who work the fields and live in the migrant labor camps, especially during the cool-weather months when there is not as much work available. Being able to buy food for a holiday meal or gifts for family members is beyond the means of many people, and this is where The Christmas Project comes in.Founded in 1978 by Gladys Anderson, The Christmas Project provides food, toys, and gifts to needy children and adults in the labor camps in Santa Cruz County. Second Harvest Food Bank Santa Cruz is one of several agencies that partner with the non-profit organization and distributes food and gift certificates donated by businesses including Raley’s and Martinelli’s. 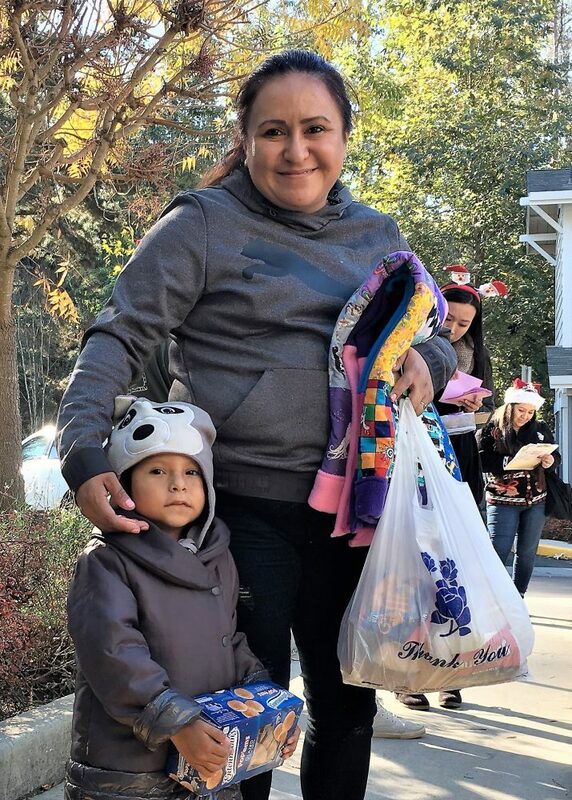 On December 18, 2017, 200 farmworker families received a 20-30 lb. bag of fresh produce, fresh chicken, cereal, tuna, cooking oil, canned goods, bread, and other staples to help them get through the holidays. 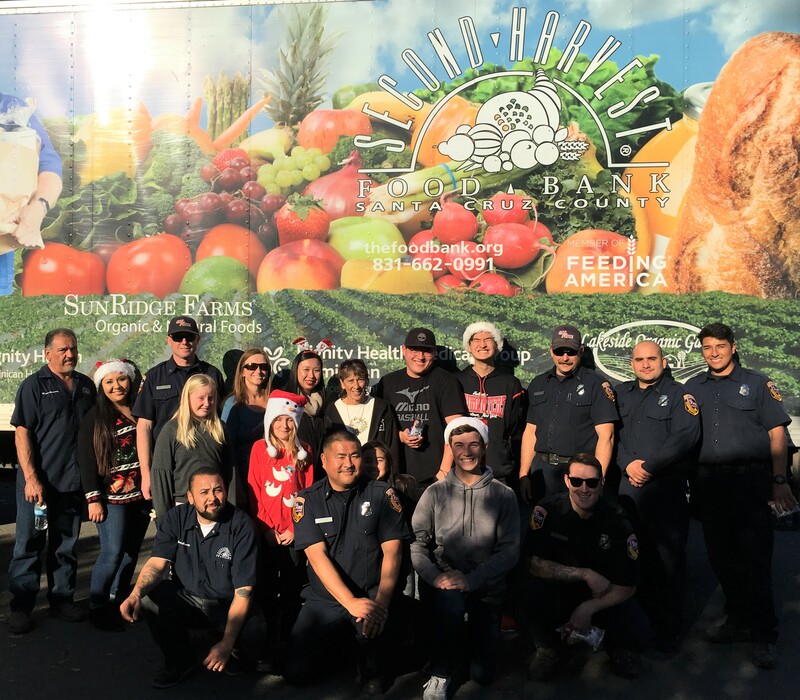 Employees of Second Harvest loaded and transported the food via Second Harvest trucks and firefighters from Cal Fire San Mateo-Santa Cruz assisted by unloading and carrying the food to each resident’s home. For more information on The Christmas Project, call Gladys Anderson at 831-426-2264, or go to www.thechristmasprojectsc.com.